Fitting the fuel pump pressure and return lines, and electric line. 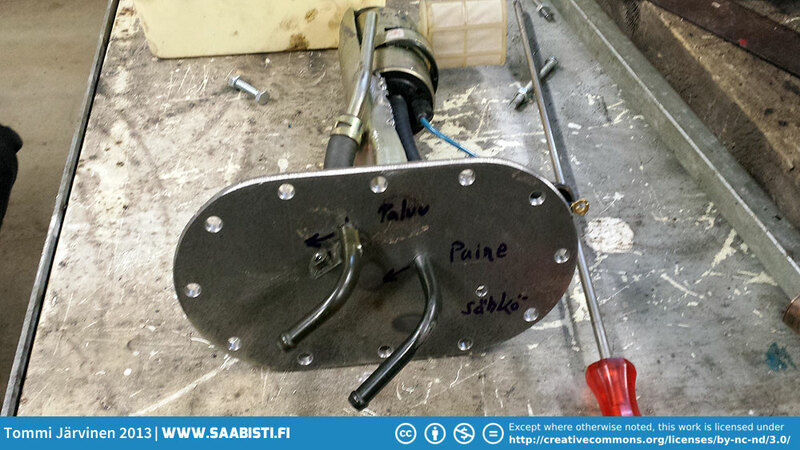 Previous imageI made a very simple bucket for the pump of a used paint thinner can and some aluminium pieces. Hopefully the bucket keeps the pump from sucking air in hard cornering. If not - I'll make a better bucket. Next imageMaking the fuel pump flange and cover plate.